In the first post in this series, Dan showed how easy it was to locate a potential employee with a particular set of competencies in the Portfolium platform. In this case, it was knowledge of the Health Insurance Portability and Accountability Act. Student Luis Lopez had a HIPAA badge in his portfolio. In contrast to grades and transcripts, the contained detailed information about Luis' specific HIPAA competencies, evidence supporting those claims, and information about the context in which the competencies were developed and the evidence was obtained. What was awesome about Luis' Portfolium badge was how readily Dan was able to connect with Luis and then discuss those competencies inside of the badge. This promising new platform readily facilitated crucial discourse about "competencies in context." Thanks to the badge and other features of Portfolium, this discourse was contextualized, personalized, public, and persistent. Such discourse defines the digital Learning Recognition Networks (LRNs) that Dan described in the second post in this series. As we elaborate here, this type of discourse will be particularly compelling when it involves forthcoming features for endorsing badges. For some readers, a bit of background might be useful. Metadata is "data about data." In the case of digital badges, descriptive metadata provides information about learning achievements beyond what is conveyed by symbolic badge images. Metadata standards are crucial to digital badges because they make diverse systems interoperable. This means any platform that embraces a common standard can "read" and make sense of badge information in order to present it to viewers. The most widely adopted metadata standard for digital badges is called the Open Badges Specification. The initial specification was established by a team working at the Mozilla Foundation, with substantial funding and direction from the MacArthur Foundation. As the Open Badges community grew, the team founded the Badge Alliance in 2014. That group worked to define the current 1.1 version, which improved interoperability with other initiatives by adopting Linked Data conventions and introducing extensions. In October 2016, it was announced that all of the Open Badges Specification work and some Open Badges community support would move to a new home within the IMS Global Learning Consortium, starting January 1, 2017. IMS Global is a membership organization whose primary function is establishing standards for educational technology. Linked Data and extensions in the 1.1 Specifications also served to keep Open Badge systems extensible. This means that a badge that is issued today will be readable in any system in the future that is compliant with any future standards, while still allowing badge providers to experiment with new types of metadata to explore new features and functions. This makes it possible for the badges standards (and therefore badge systems) to evolve gradually and intentionally, but without ever having to start from scratch or reject old badges. Most schools and universities are endorsed via external accrediting bodies. These organizations charge a substantial fee to conduct site visits, review the extensive information that schools gather, and guide continuing improvement. Many professional educational programs have additional specialized accreditation from their corresponding professional associations. Accreditors look at every aspect of a program, including leadership, instructors, course, assignments, and student work. While they don't look at actual student work before it is graded, accreditation is a comprehensive endorsement of everything that ends up on a transcript. In key respects, Open Badges disrupt the recognition of learning in schools and programs. In addition allowing the recognition of more granular competencies and less formal competencies, a consumer of the credential (e.g., an employer, admissions officer, educator, peer, etc.) can examine the evidence and information in the badge and reach their own conclusion about whether they are confident in the claims made. Open Badges introduce additional disruption by allowing this information to readily circulate in digital social networks where it can gain additional information and meaning. The current Open Badges 1.1 specification does not contain a specific metadata field for endorsement. As such, badges are implicitly an endorsement of the recipient's achievement by whoever issues them (i.e., the person or organization indicated in the Issuer metadata field). 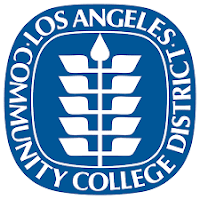 In the case of Luis Lopez's HIPAA badge, the issuer is the LA Community College District. Since LACCD is a name-brand school system, the information included in the criteria URL and displayed on the badge issued to Luis seems pretty credible. 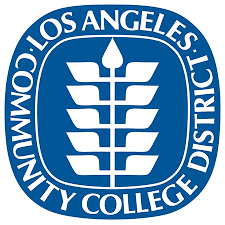 A quick search reveals that LACCD is accredited by the Accrediting Association of for Community and Junior Colleges, within the Western Association of Schools and College. However, an accreditor is unlikely to be qualified to endorse a certification for specific competencies like these. While the badge certainly provides more information than a transcript, an employer for whom HIPAA competency is crucial likely would want more information (and possibly more extensive competencies). If you google "HIPAA Certification" you will find a dizzying array of HIPAA training and certification services. One of the more prominent providers, HIPAATraining.net, offers four levels of certification. These range from a Privacy Associate ($99 for an online self-pace module and a brief quiz) to a Privacy Security Expert (a $3200 four day course and a comprehensive exam). The HIPAATraining website displays the logos of various firms (e.g., Merck) and organizations (e.g., US Department of Veterans Affairs). But it was unclear whether those were endorsers, clients or both. Dan spoke to CEO Bob Mehta, who confirmed that there is no central endorsement or accrediting body for HIPAA credentialing. Rather, those logos were represented entities who accept his company's credentials for their employees (and typically pay for the training). Bob further confirmed that HIPAA certification is "like the wild west." He pointed to dubious providers who offer online training for a small fraction of what he charges and have testing standards that are much lower than his. This current status of "eCredentialing" feels a lot like eCommerce did in the early 1990s. Our HIPAA example illustrates that opaque tangle that the Lumina Foundation and their Credential Transparency Initiative are attempting to straighten out. Doing so will be crucial if Lumina is to succeed in its goal of having ten million Americans earning "high value certificates" by 2025. As elaborated in the previous post, such certificates require less coursework than a two-year degree but lead to gainful employment and career advancement. As described next, new Open Badge endorsement features promise to advance such certifications and eCredentialing more broadly. We expect this to advance eCredentialing the way multi-point endorsement dramatically advanced eCommerce starting around 2000. The intentionally open structure of badge endorsement provides opportunities for a variety of different types of endorsers, including community organizations, employers, standards bodies, and groups that are re-envisioning how the value of learning is defined (Everhart, Derryberry, Knight, and Lee, 2016, p. 232). One or more third parties can endorse an issuer so that the endorsement passes through to all of their badges (i.e., their BadgeClasses and therefore the Assertions that follow). examines emerging issues in medical privacy, looking at how lagging medical privacy laws and swiftly advancing technological innovation leave patients vulnerable to having their medical data exposed, abused, and misconstrued. The EFF clearly has a lot of opinions about HIPAA and how it enacted in practice. Offering endorsements to HIPAA certifications might be an easy way for the EFF to have a far reaching impact on improving privacy protections for digital medical records. Let's start with LACCD's HIPAA badges in Portfolium described in the first post in this series. Once Portolium's badge system is extended to incorporate the 2.0 Specification, the LACCD could ask the EFF to endorse their HIPAA badges. If the EFF endorses the BadgeClass, that endorsement could be packaged with all of the Assertions of that badge. This would mean that 2.0-compliant systems that displayed the badge could present a logo and a statement of endorsement from EFF. Endorsement will be automatically verifiable (to prevent scammers from faking it) using the same mechanisms that make Open Badges Assertions verifiable. Officials from the EFF would presumably first examine the curriculum and assessments; they might insist that curriculum be extended to include their Guide to Medical Privacy. The endorsement statement could also include a description of the nature and extent of the scrutiny that the EFF exercised. Importantly, the endorsement might also state that the EFF was not compensated in any way for their endorsement. This would add value to their endorsement above and beyond other potential endorsers who might demand such compensation (and therefore possibly compromise their integrity). This distinction is not currently part of the planned 2.0 endorsement specification. As we hope to explore in a future post, these are precisely the sort of new features that might be added as extensions to the current specification; if that extension is taken up by multiple badge systems, it becomes a candidate for formal incorporation in a subsequent revision of the specification. Now let us turn to the HIPAATraining.net certifications described above. CEO Bob Mehta clearly has a challenge in distinguishing his company's (seemingly thorough and relatively expensive) HIPAA courses and certifications from less reputable and much cheaper alternatives. If Bob were to embrace Open Badges, Endorsement 2.0 might then allow him to seek external endorsement of all of his firm's badges. Currently, Bob presumably has the option of going with a more conventional professional and continuing education accreditors such as ACCET and IACET or a more specialized medical education accreditor such as AACME. As readers may know, the lack of transparency in general and specific breakdowns have recently shaken up the accreditation industry, particularly as it relates to for-profit education. Imagine that Bob approaches the EFF about endorsing all of its badges. The EFF might conclude that such a comprehensive (and continuing review) is beyond their scope and offer to do it for a fee. They might further decide to disclose this information in their endorsement, in the interest of transparency. This is just one example of the many ways that "open recognition" afforded by Endorsement 2.0 might transform eCredentialing. The emergence of such practices might compel the other accreditors to do the same. Our final HIPAA badge scenario is intended to illustrate that (a) when a BadgeClass is issued the issuer can insert evidence and links to more evidence to support those claims, (b) this evidence can be unique for each assertion, and (c) Endorsement 2.0 will allow one or more third parties to endorse specific assertions of a BadgeClass. Together these features will allow previously unimaginable models of endorsement. Consider for example that many states (particularly California), have stricter medical information privacy laws than those stipulated in the federal HIPAA legislation. Having different HIPAA badges for each state might be overwhelming and confusing; likewise having different HIPAA curriculum for each state might be a lot to manage in classroom settings. With Endorsement 2.0, it should be possible for LACCD to allow students to include evidence of their state-specific HIPAA competencies an ePortfolio that the badge evidence link points to. After the badge is issued, an LACCD instructor could easily examine that evidence and add a state-specific endorsement to the assertion based on that evidence. Conversely, HIPAATraining.net might choose to have multiple modules and quizzes for individual states; rather than having a different badge for each state, their system might automatically add additional endorsements to the same badge for each module the student completes. Because Open Badges put all of this information in a standardized web-enabled format, it can be readily read and interpreted by both machines and humans. As illustrated by my exchange with Luis Lopez in the first post, this allows focused discourse about competencies to occur organically in the context of that information. The obvious analog here is the way that varied multi-point endorsements practices gradually emerged in eCommerce. While it took two decades, most stakeholders now take these "Value Recognition Networks" for granted. In a similar way, these new endorsement standards will allow varied multi-point endorsement practices to gradually emerge in eCredentialing. 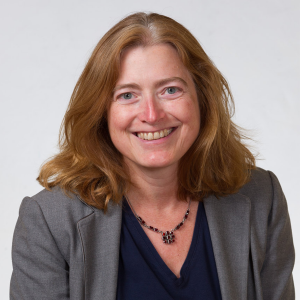 Given the lessons learned from eCommerce and more recent advances in web technology (particularly Linked Data), it seems certain that many stakeholders will soon take digital Learning Recognition Networks for granted in just a few short years. Open Badges, the open standard for the recognition of learning achievements has proved the power of a simple, affordable, resilient and trustworthy technology to create an open recognition ecosystem working across countries, educational sectors, work, social environments and technologies. Open Badges have demonstrated that we have the means and the opportunity to put an end to the disparities of the recognition landscape. Connecting and informing competency frameworks, they become the building blocks of an open architecture for the recognition of lifelong and life wide learning achievements. They create the conditions for individuals to be in control of their own recognition, to establish their identity and agency, whether formally (within institutions) or informally (across communities). Serge Ravet, Don Presant, and many others around the world are working hard to advance the cause of open recognition of learning and the many benefits that follow from it. All are encouraged to read the entire declaration and add their name to the list of BORD endorsers. What are the implications of muddying the existing waters of "endorsements"? For better or worse we have hundreds of millions of endorsements between two people on LinkedIn. These skills endorsements are similar to evidence-less badges. They're not all that useful, but they have arguably ingrained what an "endorsement" looks like to the general user. If Open Badges are further bolstered by three additional endorsement concepts, how do we help the users and consumers understand the distinctions not only between themselves in the OB context, but versus the longstanding LinkedIn paradigm? I worry users will get confused with the overlapping terminology (though a UI's language doesn't have to exactly reflect a data model) and possibly won't value them. Either because they don't quite get the nuanced distinctions or because they're already cynical about LinkedIn's endorsements. Endorsements are not validated. You can endorse someone for anything with whom you've never even worked with before. The endorsement's value is derived from the issuer, just like a badge. However, the badge has a consistent parameter with validated skills attached.